We have been offering to our clients a vast range of Sheets and Coils. These are fabricated using high grade material and are offered in various specifications to our clients. Catering to the requirements of various industries, our range is known for its corrosion resistance, durability & high tensile strength. We are offering a wide range of stainless steel designer sheets that are known for robustness, high performance and resistant to corrosion. These sheets are available for different industrial applications such as construction, engineering, chemical, oil, etc. Further, these sheets are cherished for high tensile strength and heavy duty, and easy to install features. These sheets are available in different, sizes, proportions and design & patterns. We pay maximum attention for clients’ satisfaction so they can avail from us customized range of these sheets as per their requirements at very affordable rates. Our range of Stainless Steel Sheets finds usage in chemicals, fats & fertilizers, ship builders, steel plants, paper, sugar mills & distilleries, pumps and petrochemicals, cement and construction industries. 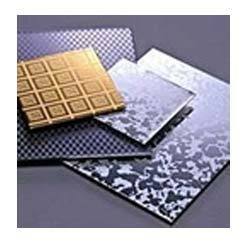 These are offered in various material, such as stainless steel & duplex plates and sheets, carbon steel & alloy steel plates and sheets, nickel & copper alloy plates and sheets, copper, brass, aluminum, lead, phosphorus bronze, brellium copper, high speed steel and HCHCR. Our range is used in the production process of color CRTs. 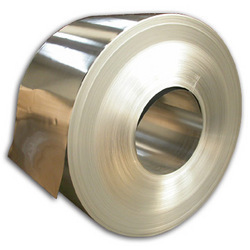 We offer Stainless Steel Coil , which are developed using quality tested stainless steel. Available in different specification, these coil find usage in chemicals, fats & fertilizers, ship builders, steel plants, paper, sugar mills & distilleries, pumps and petrochemicals, cement and construction industries. Designed precisely, these sheets are used in the production process of color CRTs. Looking for Sheets & Coils ?